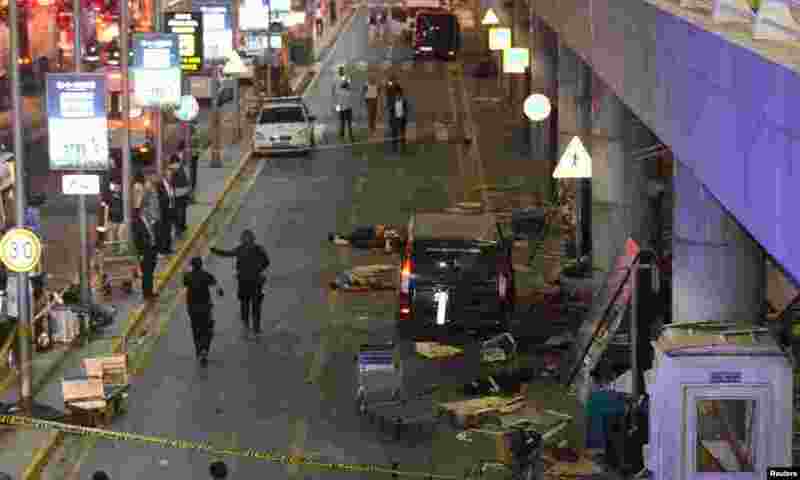 Suicide bombers killed at least 36 people and wounded scores of others late Tuesday at Istanbul Ataturk Airport, Turkish authorities said. 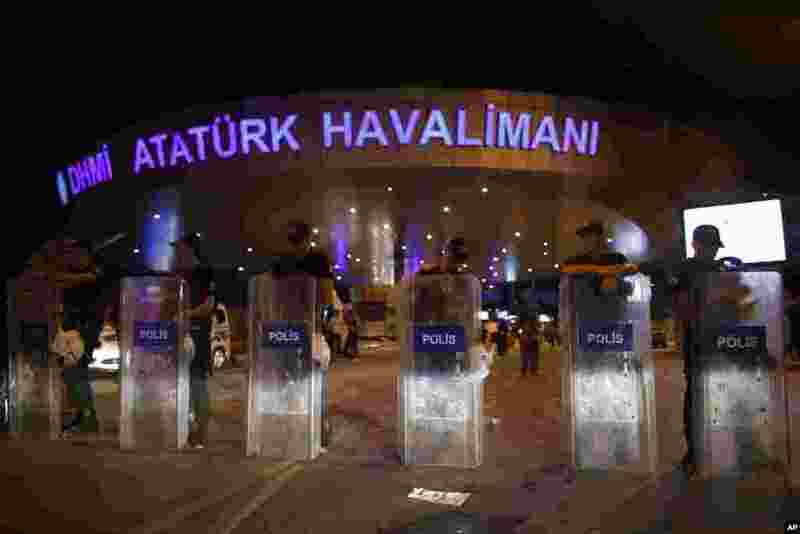 1 Turkish police block the entrance to Istanbul's Ataturk airport early Wednesday, June 29, 2016. 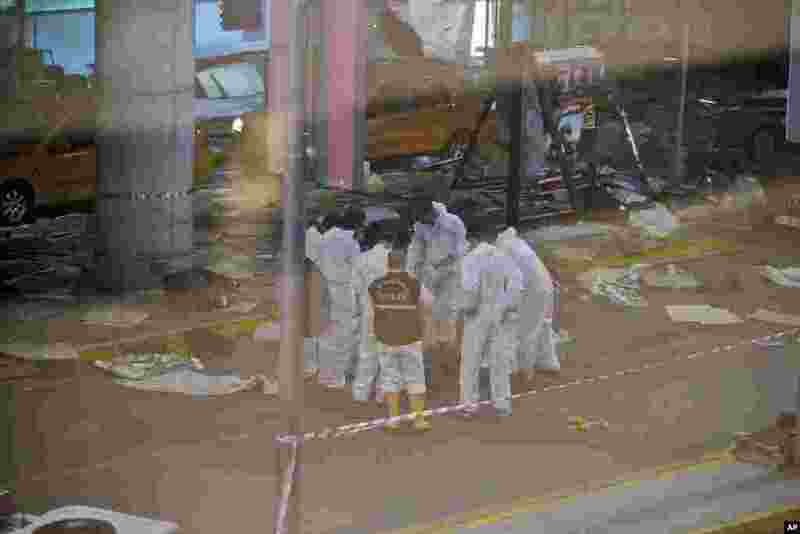 2 Bodies are seen outside Turkey's largest airport, Istanbul Ataturk, Turkey, following a blast, June 28, 2016. 3 Turkish forensic police officers work at the scene of a blast outside Istanbul's Ataturk airport, June 28, 2016. 4 Following an evacuation, passengers walk away from Istanbul's Ataturk airport, June 28, 2016.